A defendant might cite these cases to argue that future medical damages must be based on the same discounted rates that have applied to the plaintiff’s past medical damages. A defendant can use this fact in conjunction with Cuevas’ approval of the use of ACA-mandated private insurance plans as evidence of the future prices applicable to plaintiff’s future medical damages. (Id. at pp. 180-181.) Further, defendants are likely to try to exclude your experts’ life-care plans on the ground that your expert improperly included “full” medical prices to calculate the cost of future care. Finally, while the Cuevas case was a medical-malpractice case with no specific holdings related to other kinds of cases, defendants are likely to cite Cuevas to introduce insurance discounts in other personal-injury cases. While this would be improper in a garden-variety personal-injury case, it is made permissible by the unique provisions of MICRA in malpractice cases (partial abrogation of the collateral-source rule). Further, many defendants and their experts have begun using Medi-Cal or Medicare rates as the basis for their future medical plan pricing, with the belief that the only acceptable pricing is a race-to-the-bottom figure accepted by any provider. Defendants may characterize the use of “market based” rates as an assertion of “realism” in awarding medical damages. However, there is nothing realistic about forcing a plaintiff to rely on unstable insurance discounts for their lifetime health-care needs. Health insurance is an inherently volatile industry. Insurance plans, the services provided, and prices for services vary greatly from year to year. This volatility makes projections of future insurance highly uncertain as a measure of value, and such projections are likely to understate the actual future health needs of your client. The Cuevas case and other related court decisions did not adequately address the issue of foundation for defense opinions on alleged future discounts. Because of great uncertainty about future private insurance, the use of insurance discounts for future medical damages lacks foundation, is highly speculative, and will in fact undercount the actual damages. Even in the wake of Cuevas and other recent cases, there is still a strong argument that defendant cannot meet its burden of proof on medical pricing where the defendant tries to project a given insurance discount years into the future, based on a plan that may dramatically change from year to year or may simply be removed from the marketplace. I am one of the attorneys who initially tried the Cuevas case. This article is the last in a 3-part series of articles on the implications of Cuevas for plaintiffs’ personal-injury practice. This article will discuss the problems with projecting current discounted medical prices into the future and will suggest alternative plaintiff-friendly pricing as well as attacks on defense discount-based pricing. My goal is to give my fellow plaintiff attorneys ways to deal with the Cuevas decision, and also to open a discussion in the legal community about the reasons Cuevas was wrongly decided and should be overturned or limited. California courts have been arguing that discounted prices are actually “more real” than the full prices charged for medical services. Is this reasonable? As to past medical bills, there is logic to limiting the plaintiff’s recovery to the amount actually paid. However, there are serious problems with taking current discounted prices and projecting them into the future. Even as to past bills, there are extra payments and benefits to the providers, not counted in the discounted price, that makes the discounted prices deceptively low as a measure of the value of services. First, the discounted price appearing on the plaintiff’s medical bill is not necessarily the full amount paid to the provider. The actual amount a health-care provider is paid is not limited to the cash payments credited to patients’ accounts and reflected on their bills. Health-care providers often receive an annual stipend from insurance companies, “kickbacks” based on their write-offs, and other valuable consideration for being a “gatekeeper.” Amounts listed on a patient’s bill as “write-offs” or “adjustments” appear unpaid; however, they are often paid at a later date (at the end of the contract or quarterly). In addition to hidden supplemental cash payments, medical providers accept less than their full retail charges because they receive valuable non-cash consideration from insurance companies. Examples include promised patient volumes, more rapid payment, and shortened audit periods (e.g. withdrawal of payments made in error won’t be initiated more than 12 months after payment). These terms are negotiated between the provider and insurer when they enter into a contractual arrangement. Because of these issues, the discounted amounts are not a full measure of the reasonable costs of medical care, even for the plaintiff’s past medical expenses. Therefore, the actual – and reasonable – value received by healthcare providers under private insurance plans is higher than what is reflected as paid on patients’ bills. The problems with past paid medical expenses get compounded when we try to use them to predict future medical expenses. Defendants will often try to argue that plaintiff’s past medical bills, and the (low) prices paid for items of care, are likely to continue. However, this argument assumes that insurance discounts are stable and reliable decades into the future. Nothing could be further from the truth! There is enormous instability in these discounts, and there is no foundation for applying one set of discounts accepted by a provider now to a different provider not subject to the same market circumstances, and then projecting these discounts out for decades. Plaintiff’s life-care planning expert in the Cuevas case, Jan Roughan, analyzed the “typical paid” charges vs. “retail” charges for health-care costs. Roughan found that the negotiated rate differential (the amount the medical provider will accept for services provided, as negotiated between the provider and the insurance company for services rendered to their insured) varies significantly, depending upon the type of insurance and schedule of benefits. Further, there did not appear to be a “definable” or typical percentage of charged vs. paid amounts that was utilized. Roughan found that there was significant variance in payment within the same insurance company wherein the insurance company may pay a low contract rate, and/or pay close to the charged amount. There was also significant variance between companies. For example, Roughan found that Kaiser payments, while in a wide range, would pay up to 95.10 percent of the amounts charged for some services; while Blue Shield payments ranged up to 72 percent of the amounts charged. Health Net, on the other hand, consistently paid 97 percent of the amounts charged. Roughan also found that health insurance prices for items of care vary from year to year. Payment discounts are negotiated between an insurance company and health care providers based on many aspects of their business relationship. As such, there is no “standard” rate differential that can be applied. In fact, there is significant variance in payment amounts between insurance companies and even within the same insurance company. In addition to unstable prices paid by insurers, the services provided by insurers are also highly variable. This is true even under the Affordable Care Act, which mandates “essential services” but leaves a lot of the details of care up to the insurance companies. Where your client has serious medical issues requiring specific expensive services, it can be devastating for an essential medical service to disappear from the covered benefits. Health insurance is a product that is sold with the expectation of profitability. The parameters of each plan (e.g., deductibles, co-pays, schedule of benefits, etc.) are evaluated each year and amended to ensure profitability of the company providing them. Determination of what is covered within a plan changes every year, as insurance companies must at a minimum break even. Thus, the driving factors relating to coverage are the costs involved in funding care. Insurance actuaries calculate the projections based on current experience, and each year the company determines the type and extent of services that will be offered in the following year and at what premium, deductible and co-pay amounts. One issue driving volatility in health care plans is the presence or absence of uninsured individuals. One of the major costs which must be included in charges, particularly for hospitals, is the mandate to provide free care. The requirement to provide free care causes massive variations in the charges and rates in different areas simply because the number of non-paying individuals varies dramatically among hospitals, even in adjoining areas. An unexpected influx of uninsureds will immediately and substantially change the operating costs of medical providers in the area. There is a great deal of variability within any individual plan regarding what services are covered. It is true that the ACA requires health plans to provide certain basic services. However, health care insurers have a lot of flexibility in providing services. Insurers retain the right to change the services provided, drop particular patients, or eliminate an entire plan if it is not profitable. For a given policy, the typical schedule of benefits changes every single year. It is impossible to predict what items of the plan might be paid at the health insurer’s lower contract rate with a provider, because it would depend upon contractual agreement (between the insurer and the provider), the schedule of benefits, and whether or not somebody within the plan approved it. Even if the particular medical care is technically “covered” under the plan, insurers can find ways to delay or avoid providing the benefit – and they will profit by doing so. 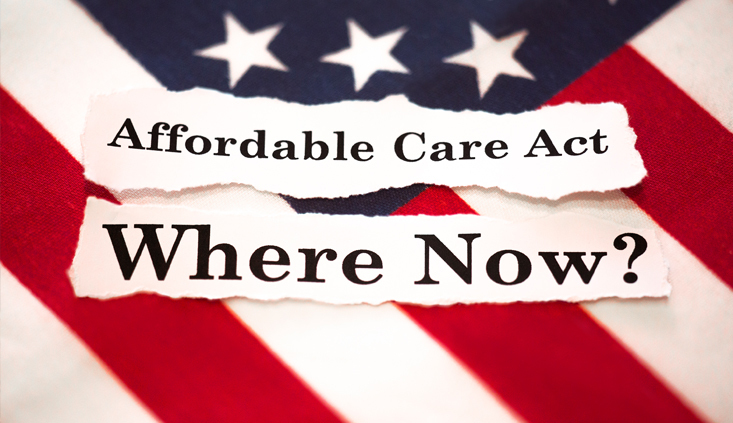 The typical ACA health plan, particularly HMOs or EPOs, may deny care recommended by the patient’s doctors for various reasons, including the organization’s refusal to fund that type of care, or its determination that the care is not necessary for that patient. Under the ACA the insurer is permitted to require pre-authorization of benefits; insurers regularly use pre-authorization to deny or delay needed benefits in order to cut costs. Finally, depending on the insurance plan, the best physicians may be unavailable for the patient. Some medical providers will not accept a particular insurance plan. For a seriously injured plaintiff, it is often critical to receive highly competent care. Such care is unlikely to be affordable if the defense has forced the plaintiff to accept “discounted prices” as the measure of medical services. For similar reasons, Medi-Cal and/or Medicare rates for health care services – typically some of the lowest rates in the health care industry – are not reasonable measures for your client’s future medical expenses. First, your client may or may not be eligible for these programs, and if not, then the lower prices will not be available. Second, Medi-Cal prices for services do not reflect the full cost of care, as the medical providers are not paid their full prices through Medi-Cal. Third, there is not one Medi-Cal “rate,” since rates vary from facility to facility as each facility receives a different “bulk discount” for services. Fourth, Medi-Cal and Medicare rates are determined by public funding, which is controlled by elected officials and is subject to political pressures. There is no guarantee that the current schedule of program benefits (set of covered items and services) would be the future schedule of benefits. Finally, Medi-Cal is not likely to cover all services related to your client’s future care. Medi-Cal’s limits on covered medical services often impair, or increase the cost of, the patient’s ability to obtain needed care. In fact, recent studies have shown that Medi-Cal services, especially services to children, have decreased in availability. If the defendant persuades the trial court to use past paid amounts for medical services as the basis for an opinion as to the reasonable value of future medical care, this is likely to lock the plaintiff into an inadequately funded health plan. A payment discount only applies if the patient is a member of the specific network. If the plaintiff loses coverage, the future cost of medical care will be higher than the past discounted amount. In Cuevas, the Court of Appeal did not discuss the foundational issues related to future insurance discounts. The Cuevas court simply accepted the defense expert declaration that he had “identified specific California insurance plans that would be available to meet many of [plaintiff’s] needs.” (Cuevas, 11 Cal.App.5th at p.180.) The decision did not inquire as to whether there was evidence these plans would continue to exist and provide these benefits, and those prices and discounts, over the plaintiff’s lifetime. In fact, the defense experts had admitted they could not testify that the stated discounts would continue over the plaintiff’s lifespan. Thus, the appellate court ignored a serious foundational problem with the projection of insurance discounts. Given the unfortunate case law permitting discounted rates for future medical care, what evidence can the plaintiff put forward to counter this? While the language of Cuevas is daunting, there are aspects to this case that are useful. Crucially, the Cuevas court approved the use of UCR (Usual, Customary and Reasonable) pricing where the range of medical prices for a given service is measured through national price surveys and the market rate determined at the 80th percentile of actual prices. (Cuevas, 11 Cal.App.5th at 182.) This is different from using the past amount billed for a service for that plaintiff. The market survey may include some “full” prices as part of the overall market for medical services. UCR rates are, generally speaking, the amounts paid for a medical service in a geographic area based on what providers in the area usually charge for the same or similar medical service. UCR rates are used to determine whether the amount of the charge is “reasonable” when compared to the same service in the same geographical locale. In practice, there is no one UCR rate for a given medical item. The UCR is typically expressed as a percentile figure for a range of rates. The data for UCR rates is compiled from several sources. There are nationally recognized services that provide statistics on healthcare charges that can be utilized for comparison. These include Optum/Ingenix Insight National Fee Analyzer; Medical Fees in the United States; Health Systems International; Fair Health Inc.; Department of Veteran Affairs; Physician’s Fee Reference; and, Center for Medicare/Medicaid Services, to name a few. These entities gather claims data from health care providers, third-party administrators, and government resources. UCR rates are often used by health insurers when determining how to reimburse out-of-plan providers. For example, an insurer will agree to reimburse out-of-plan providers for fees up to the 80th percentile of UCR, according to the price databases. Use of UCR rates is therefore good practice, and good law, as evidence of the reasonable value of future medical services. While recent case law seems to sanction the use of discounted insurance payments for future medical care in malpractice cases, these cases sometimes permit limited use of “full” medical charges. While the plaintiff can’t just introduce the full medical charges and demand these as damages, the full charges can be part of the plaintiff’s calculus leading to the future medical damages claim, as with the UCR rate analysis. Surprisingly, the Markow and Cuevas decisions – the cases most likely to be cited by defendants to support discounted “market rates” for future care – explicitly permitted some limited use of full medical charges and did not demand that plaintiff’s experts only use discounted amounts as the basis for their opinions. We do not recommend that plaintiff’s experts apply a simple reduction to the total future costs, as was done in Markow. 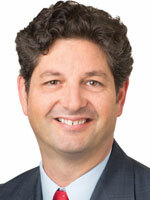 However, Markow did permit the jury to hear evidence of the full billed rates. Markow did do what defendants demanded – remand for retrial with no evidence of the full rates. Also, the Markow court affirmed the future damage award for plaintiff and did not comply with defendant’s request to recalculate damages using heavily discounted (12.9 percent) rate for insurance reimbursement. Thus, while Cuevas did not approve of “the full amount billed for past medical services,” it did approve the use of a range of medical charges, including “full” charges, from a national database. These cases indicate that the “paid” or “discounted” amounts are not the sole legal measure of the reasonable value of future medical care. As stated above, there are many reasons not to rely on any insurance health care benefit to be available over the lifetime of your client. Further, there is case law supporting limited use of the full medical billings. These issues should be used to challenge defense experts, to limit defense evidence at trial, and to promote proper use of UCR rates at trial. Defendants seeking to apply an insurance discount to plaintiff’s future medical expenses bear a significant burden of proof. The defense expert must link particular coverage and coverage amounts to particular items of care and treatment in the life care plan over the plaintiff’s life expectancy; present a factual basis on which to establish that this particular plaintiff is reasonably certain to have that coverage over that period; and provide a basis on which to calculate, with reasonable certainty, the time period such coverage will exist. Where a defendant wants to admit future health insurance benefits, you should demand the defense expert show that this evidence is reliable – that is, that the promised discounts or benefits are likely to be available to your client over their whole life expectancy, years or decades into the future. Where proper foundation cannot be made, the defense opinion should be excluded. In fact, future health insurance policies – whether mandated by the ACA or not – have too much uncertainty to establish these points with any certainty as to any item of medical service for a given patient over the next few years, let alone over a lifetime. Plaintiff’s attorneys should firmly resist any defense attempt to use Medicare or Medi-Cal rates as the basis for future medical prices. First, the Cuevas case explicitly excluded Medi-Cal pricing: “Therefore, the collateral source rule continues to apply in medical malpractice cases as to Medi–Cal payments.” (Cuevas, 11 Cal.App.5th 163, 173, citing, Brown v. Stewart (1982) 129 Cal.App.3d 331, 341.) If the defense tries to argue around this prohibition, point out that Medi-Cal suffers from similar foundational problems faced by private insurance discounts: unreliability of prices because of the volatility of public funding and different rates at different facilities, and unreliability of particular needed services as these are funded or not. Even more fundamentally, Medicare or Medi-Cal services may not be available for your client, or your client could lose eligibility. Further, the Corenbaum case affirms that the collateral-source rule continues to exclude mention of the existence of future insurance and the negotiation of prices paid by insurers. (Corenbaum, 215 Cal.App.4th 1308 at p. 1332.) Therefore, any future discounted prices for health care would have to be introduced without mentioning health insurance. As to plaintiff’s expert opinions, UCR rates at the 80th percentile are not considered to be “full” rates, and are permissible as the basis for expert opinion on future damages. (Cuevas, 11 Cal.App.5th at p. 182.) You should ask your life-care planner if he or she could use UCR rates, as this is permitted under Cuevas and will counter any defense claim that plaintiff is improperly using “full” rates. I hope this series on the Cuevas decision has been useful. If you have further questions about these issues, please get in touch!